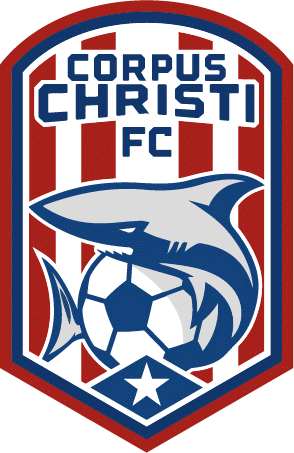 (May 17, 2018) –Corpus Christi FC, the Coastal Bends’s new PDL soccer team announced a wide-ranging partnership that will provide soccer fans with additional opportunities to celebrate throughout the season. CCFC has partnered with Coastal Bend Distilling, Co the region’s leading distiller. “Coastal Bend Distilling, Co. produces the highest quality spirits inspired by the people, heritage and lifestyles of South Texas. Our liquors will satisfy your taste buds and give you that authentic South Texan experience. It’s about small-town parades, hunting on opening day, eating great BBQ, or two-stepping with your lady. From family ranches to football fields, to fishing boats; everything you need to live the good life is right here.” Says Lindsay Horton, Director of Marketing, Coastal Bend Distilling, Co.
Its new state of the art ultra-modern distillery building with a South Texas Flare is presently been developed, located in Beeville, Texas it is scheduled to open in August 2018 to the public. The building will be equipped with a tasting room, a processing area, a gift shop and a meeting room. Guests will be able to immerse themselves with the full experience of a distillery during tours and guided tastings. The company presently produces vodka, gin, rum, blended whiskey and a single barrel whiskey. The pinnacle of its product will be its very own Texas Bourbon. Coastal Bend Distilling Company is located in downtown Beeville, Texas at 201 North Madison Ave. 201, Beeville, Texas 78102. “We’re thrilled to partner with Coastal Bend Distilling, Co, a company that is committed to our community. Their involvement will help make CCFC match days an even more exciting occasion. Together, we will be able to create awesome experiences for our community, their range of products are of the highest quality and we are delighted to introduce our fans to this awesome company” Club President Dr Kingsley Okonkwo said.